Hello, friends of Copper Run Distillery! We hope your holidays were as exciting as ours. We have a few surprises coming up this month, with the Special Reserve Rum being the first. 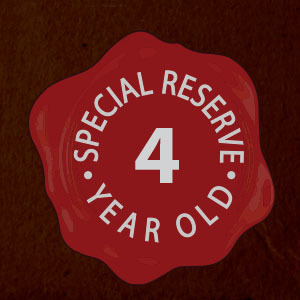 After 4 years in a cream sherry cask, we are pleased to announce the limited release of our 4 Year Special Reserve Rum. With only 100 numbered bottles available, the 4 Year Special Reserve is the finest batch of handcrafted Rum we’ve released thus far. This Rum is also a part of symbolic for Copper Run since this distillation brought together and began a creative and formative partnership for Copper Run co-owners and friends, Master Distiller Jim Blansit and Aris Aristidou. After four years, we can say good things certainly do come to those who wait. In line with an island style, dark rum, our 4 Year Special Reserve is an exceptionally smooth and balanced spirit with notes of stone fruit, currant, and tobacco. The 4 Year Special Anniversary Rum is a limited, single barrel release, so please pre-order your bottle today to reserve one of the 100 bottles that are available. Limited to one bottle per person/order.